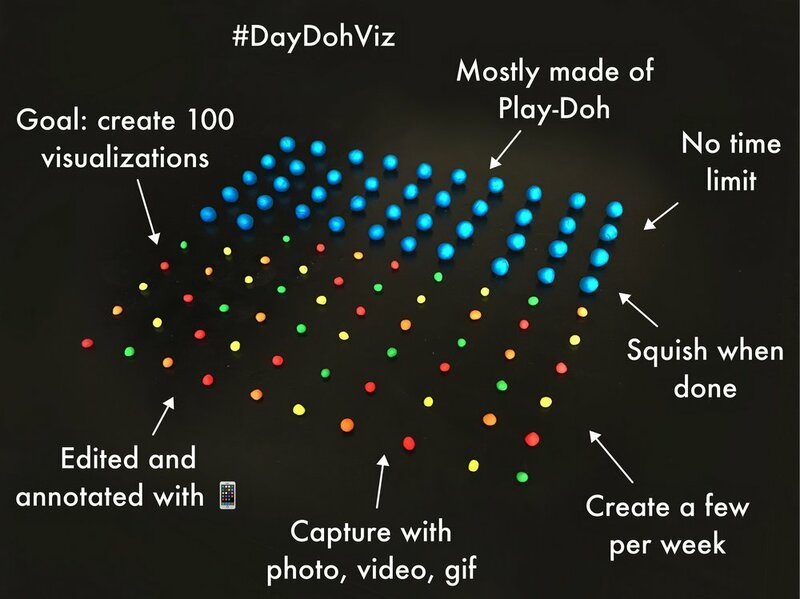 Data visualizations created out of Play-Doh produced "daily"
Winner of the 2018 Information is Beautiful Silver award in the “Unusual” category. The subjects range from self-disclosing and serious (her personal financial data, government enforcement actions) to delicious and exhilarating (pizza types, top roller coasters). I’ve found the tactile, ephemeral & imprecise nature of Play-Doh - which is so different from the typical data viz technology - to be creatively liberating.